After so many great questions and suggestions on the comment board this month, we’ve got kitchen efficiency on our minds. 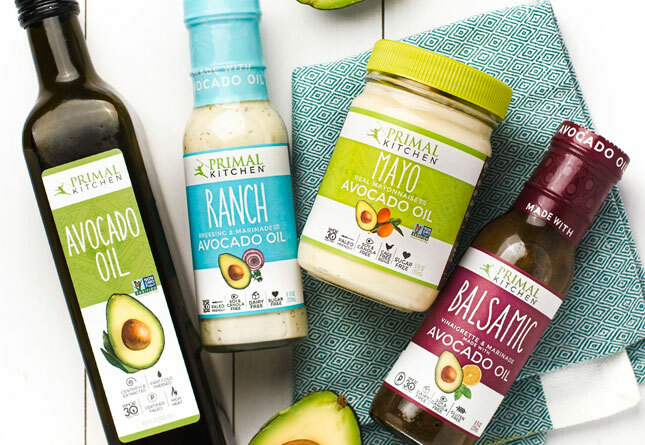 Keeping a healthy Primal Kitchen running smoothly and economically isn’t hard, but some creative strategy sure makes it easier. If you’re only freezing water in your ice cube tray, you’re missing out. Everything from herbs, to dark chocolate, to bacon fat and even wine can be frozen into flavor cubes that will change the way you cook. 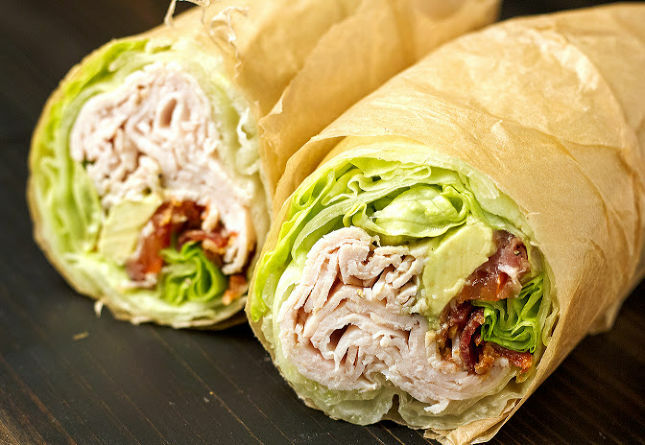 It’s all about more flavor, more convenience, and less waste. 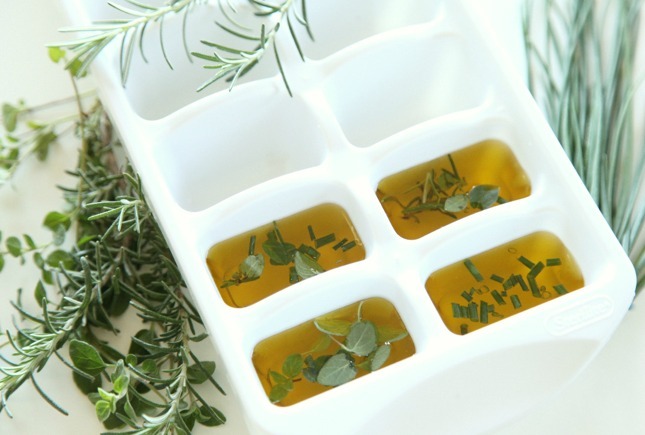 Simply pour ingredients into an ice cube tray, and freeze. 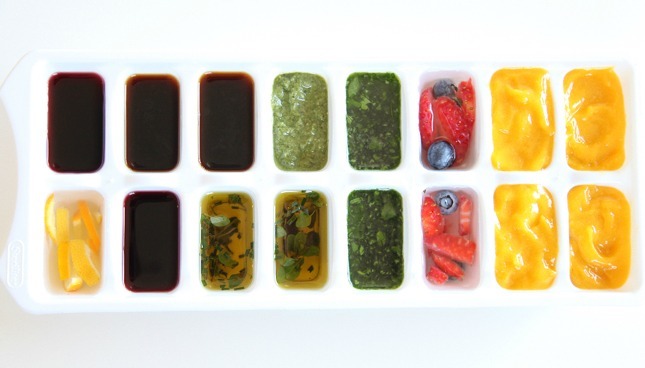 Once frozen, all of these flavor cubes can be stored in freezer bags for up to 3 months. Use the ice cube tray already in your freezer, or look online for new trays in a variety of sizes and shapes. Use up fresh herbs instead of watching them wilt by combining extra virgin olive oil or avocado oil with freshly plucked herbs. Melt frozen oil & herb cubes in a saucepan before sautéing meat or vegetables for instant herbal flavor. 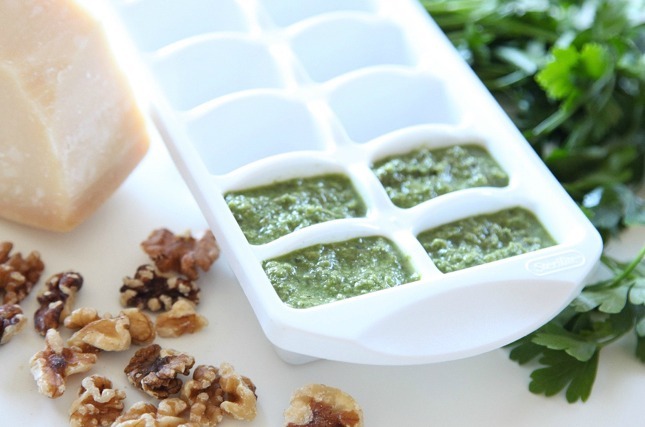 Another way to freeze fresh herbs is by freezing pesto into cubes. This is a great way to preserve a bounty of fresh basil in the summer, or other types of pesto like parsley and cilantro. Instead of cooling soup with a watery ice cube, put a frozen pesto cube in your soup bowl instead. 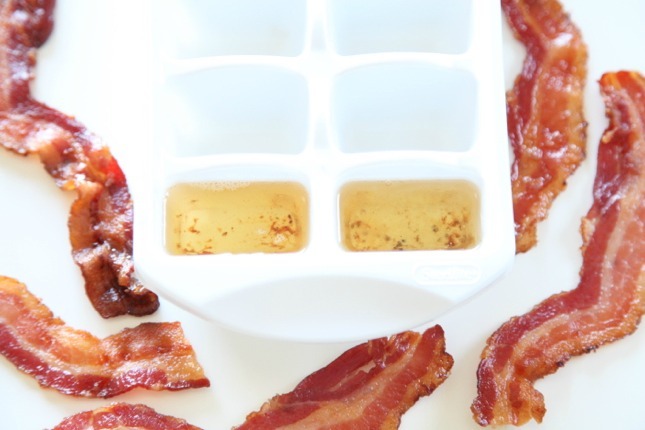 An easy and space-efficient way to store bacon grease (or chicken fat, or tallow) is by pouring warm, liquid fat into an ice cube tray. 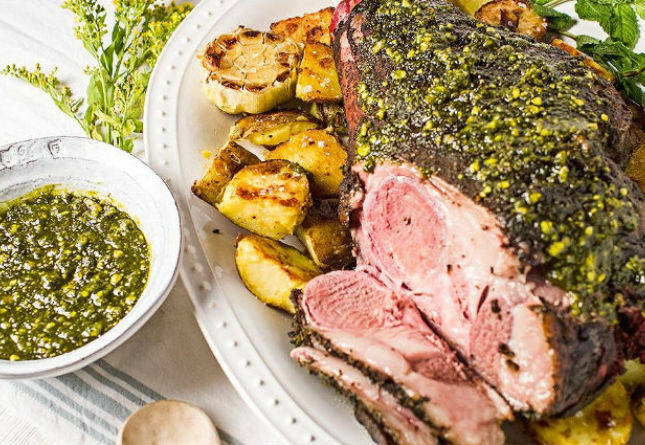 Store the cubes of animal fat in a freezer bag and pull one out whenever you sauté something. Having pureed ginger and garlic at your fingertips saves a lot of precious time when you’re trying to get dinner on the table. 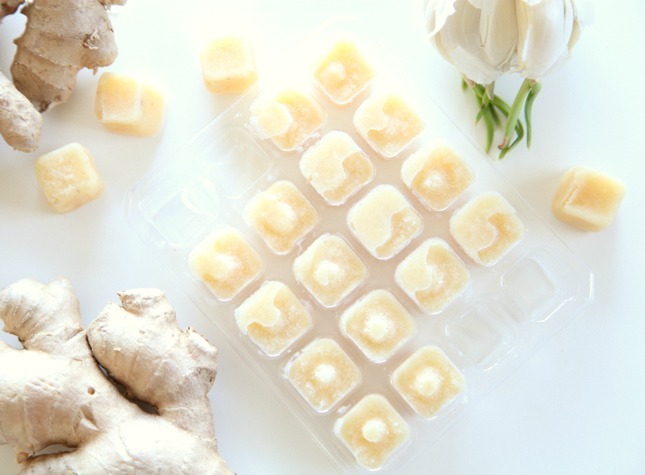 To make, simply puree peeled, sliced ginger or whole peeled garlic cubes with water until smooth, then freeze. Pop a frozen cube of garlic directly into a sauté pan with oil for you next stir-fry recipe, or use the cubes for marinades and sauces. Tip: Use a smaller ice cube tray, since most recipes only require a little bit of garlic or ginger. Don’t want to open a bottle wine just to deglaze a pan? That’s where wine cubes come in handy. 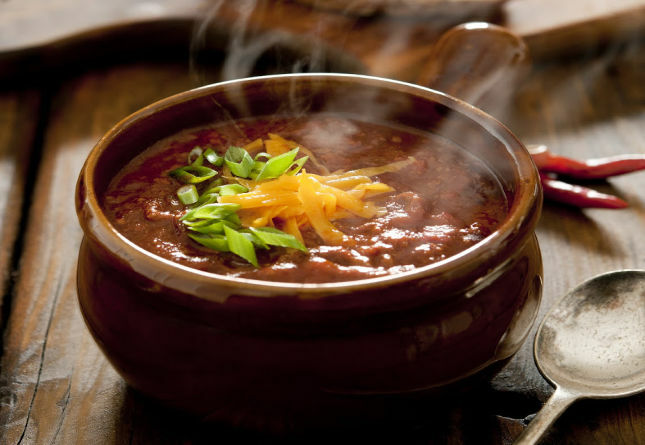 Frozen cubes of red or white wine can be melted in a pan with butter, or added to tomato sauce or stew. For a refreshing, low-alcohol drink, pour sparkling water over a wine cube. 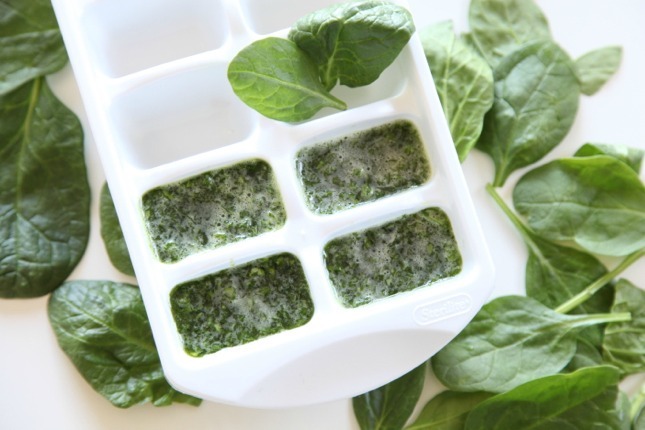 Puree fresh greens (like baby spinach) with a little water to make a green slurry, then freeze into cubes that easily add extra nutrients to soups, stews, chili, smoothies and other dishes. 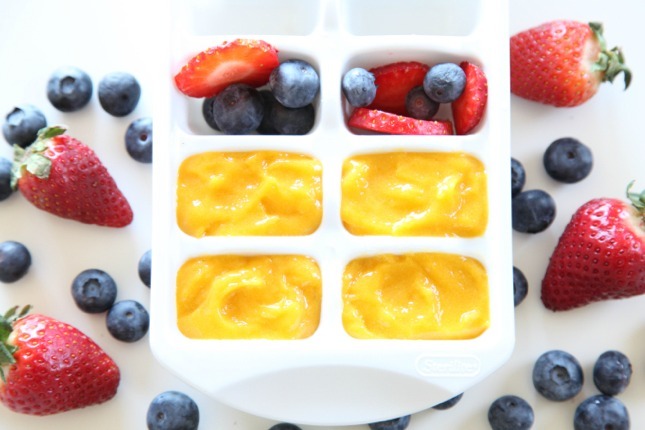 Puree and freeze fresh fruit (think mango or berries) and use the cubes as fruit bombs for smoothies, miniature popsicles (put a toothpick in the ice cube while it freezes), or as a colorful way to flavor sparkling water. Use a silicon ice cube tray to freeze melted dark chocolate into tiny bars or festive shapes (like hearts). 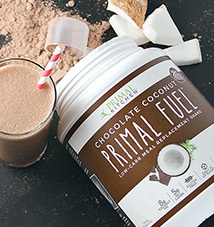 Add chopped nuts, coconut, or your favorite super-food for a healthful treat. 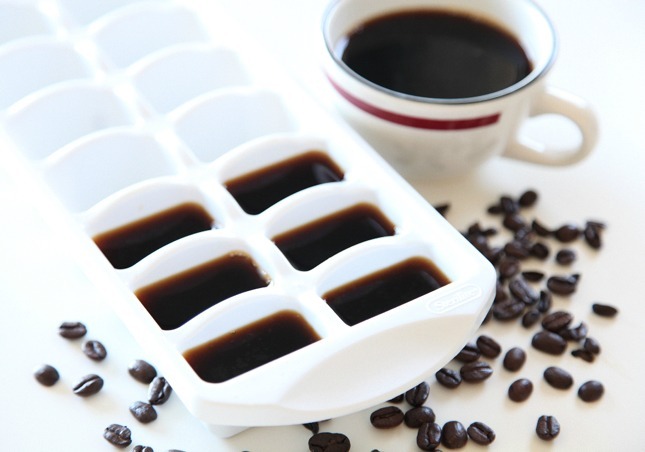 Never suffer through a watery glass of iced coffee again when you have coffee ice cubes on hand. These caffeine-packed cubes can also be added to smoothies. 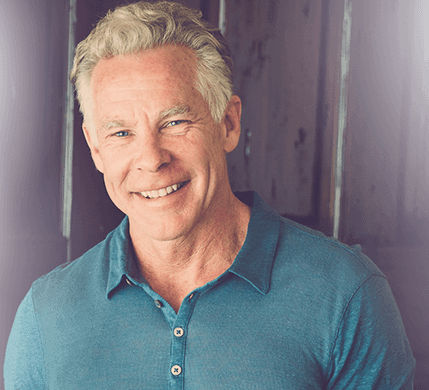 Remember, you’re limited only by your Primal-minded creativity (and how much room there is in the freezer). Thanks for reading today, everyone. 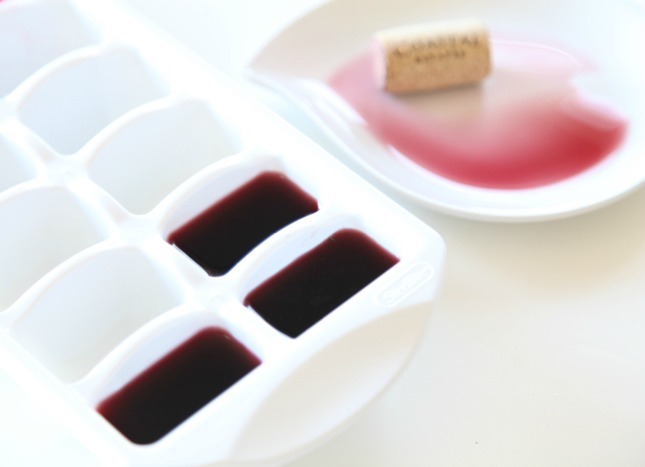 We’d love to hear how you make multiple use of your ice cube trays. 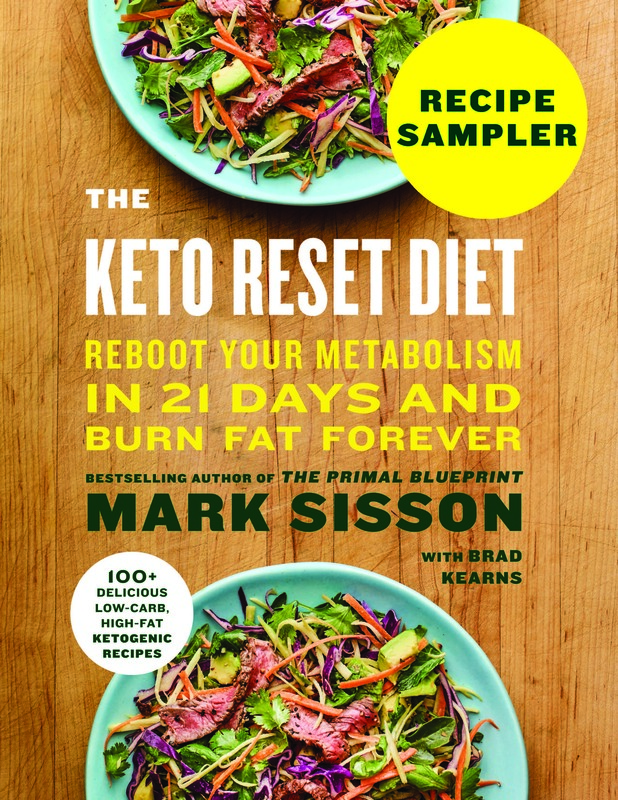 Next post >Don’t Miss This Keto f(x) Talk! I absolutely love this post. Great tips for me. 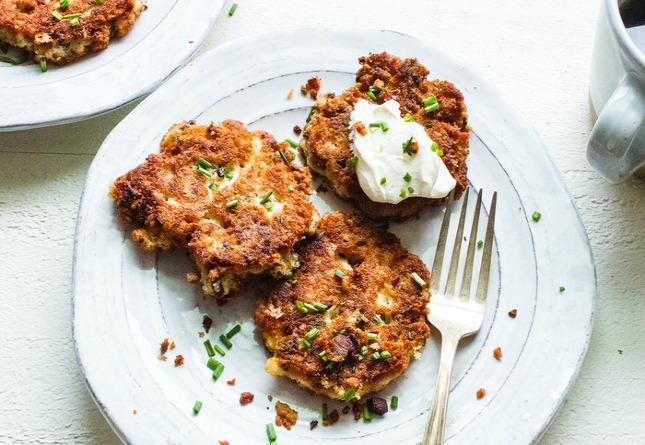 I travel extensively and having ice cube trays filled with my favorite foods is very handy. And nothing goes to waste. Freaky coincidence, I just did this for the first time yesterday-kind of. I had extra fresh thyme and rosemary. I buy those frozen garlic containers from Trader Joe’s, and froze the herbs (with melted home-rendered lard) in the empty little squares. This will be fun to experiment with! I read somewhere online that you can freeze coconut milk. Most of the time I need a cup, but the can contains 14 ounces or whatever. You can!! I do this all the time. i use one of the flexible silicon mold trays. Also works well for coconut oil. Melt an entire jar of oil in the microwave, and pour into ice cube trays in put in the fridge. 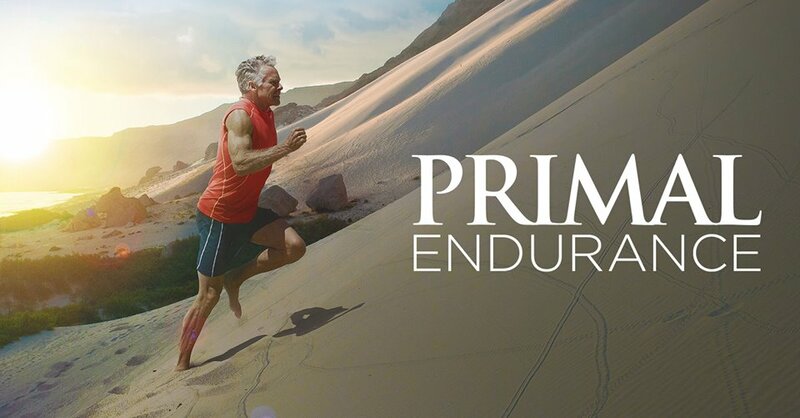 You now have solid blocks of pre-measured coconut oil without having to chisel it out of the jar. I freeze leftover coconut milk. Works great! Whenever I have leftover full fat coconut milk I use it to jazz up my morning joe. It is quite rich and delicious. 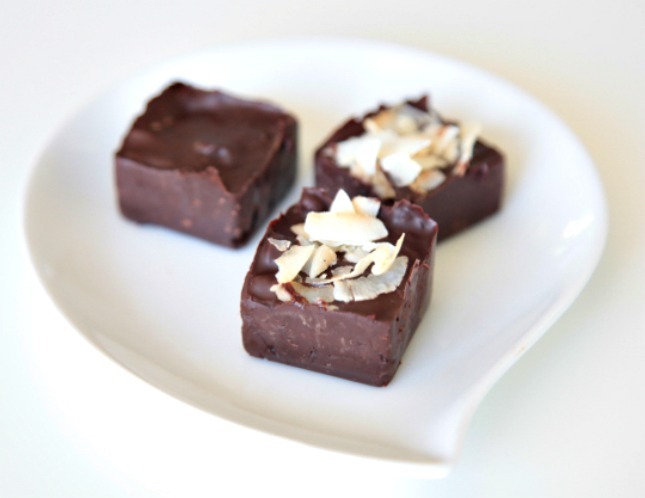 I’ve used ice cube trays to freeze tomato sauce & to chill my husband’s creamed coconut & peanut butter fat bombs, but you’ve given me some more ideas – thank you! What’s nice is that most ice cube trays hold an tablespoon, so you know exactly how much you have. If you put the avocados in the refrigerator before they get too ripe, they will keep for quite a while. I do chicken stock, but reduce it way down before freezing so each cube is worth about 1/4 cup. Also parsley. Big bunch, crammed into blender with a little water, and it suddenly turns into green puree. Freezes very well. And now the big questions: how do you get the stuff out again and how do you clean the tray afterwards? Fat sticks to both plastic and silicone quite awfully and is hard to clean even off a flat surface. I freeze bone broth in both regular trays (like pictured in the article) and silicon trays. To remove the cubes, I fill a sink with an inch or so of very hot water, enough for the tray to sit in, but not enough to come over the top of the tray. Then I pull the tray out of the freezer and set it in the water for about 8 seconds. The cubes pop out easily, and I throw them in a bag and put it back in the freezer. 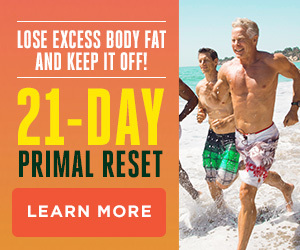 Also works with pureed liver, which I take raw each morning. This doesn’t make cleanup any easier, but at least getting the cubes out is easy. Thank you for this tip, John! My trays are slightly flexible so I usually just flex them and the cubes disconnect. But even just turning the tray over and running them under the cold tap is enough since even cold water is much warmer than freezing. Then bang the tray upside down and the cubes fall out. New to all this, what awesome ideas! !